Six Nations 2019 will start live streaming games starting on February 1. You can watch every game live for free on Kodi if you're using the right addons and a VPN bypass for geographic content blocking. If you’re a rugby union fan who doesn’t have cable or satellite service, you’d probably like to know how you can watch the Natwest 6 Nations Championship online, through a web browser or Kodi. Six Nations is scheduled for 8 PM GMT (9 PM CEST /12 PM PST), so you’ll want to make sure you have your streaming source all lined up before the start time. 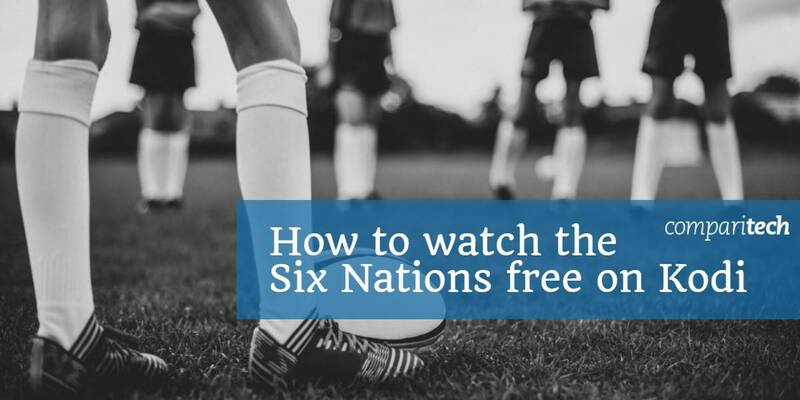 Below, we’ll explain how to watch Six Nations free through Kodi from anywhere in the world. This article will only recommend official Kodi addons for Six Nations live streams. Many Kodi users turn to unlicensed streaming addons for sports, including soccer events like Six Nations. However, unlicensed streams from any source, including Kodi, tend to be laggy, time-delayed, and are often in a low resolution. Additionally, Kodi addons that serve up unlicensed streams may install malware on users’ computers — and it could be difficult to detect if that malware is present until the damage has already been done. Six Nations can be streamed live for free from legitimate sources, meaning there’s no reason to turn to illegitimate streaming through Kodi. Six Nations will be covered by several free-to-air networks in different countries. There are several Kodi addons available that offer access to these services as well. 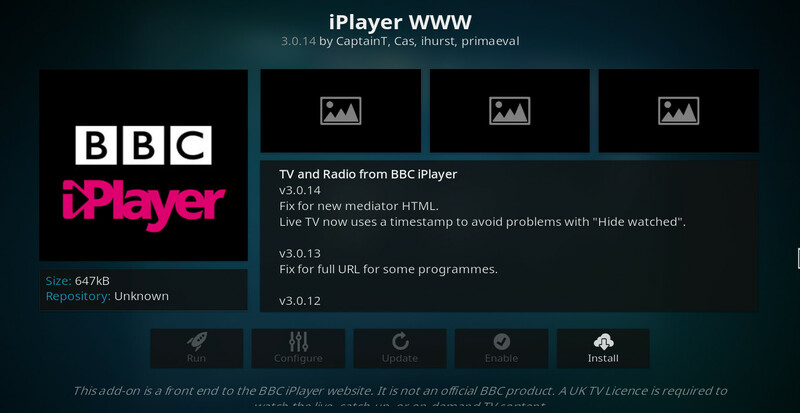 The iPlayer WWW Kodi addon connects to bbc.co.uk/iplayer. This allows you to play both live and on-demand content from BBC channels. Using iPlayer without a TV License is against U.K. law. If you have a TV License but are traveling outside the U.K., you’ll need a VPN to unblock its content. Note: As with the website version, IPVanish servers are blocked by BBC iPlayer. So if you want to use iPlayer to watch the Six Nations Championship, we recommend using ExpressVPN instead of IPVanish. The BBC will only be covering games for France, Scotland, and Wales. If you want to watch UK coverage of home games for England, Ireland, and Italy, you’ll need to use the ITV Hub, which, unfortunately, has no working Kodi addon. Those living in France will be able to watch every Six Nations game live on France 2. But if you’re not in France and still want free French coverage on Kodi, there’s the France.tv Kodi addon. 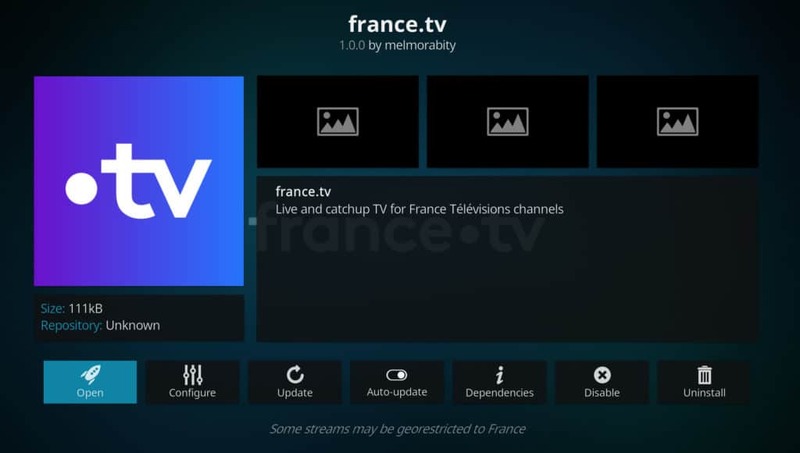 You can download and install the France.tv Kodi addon from the Official Kodi Addon Repository. From there, you’ll just need to go to the Live section and open up the France 2 stream. Note that you will need a VPN connection to a server in France to get the stream to work, as France.tv blocks connections from outside of France. 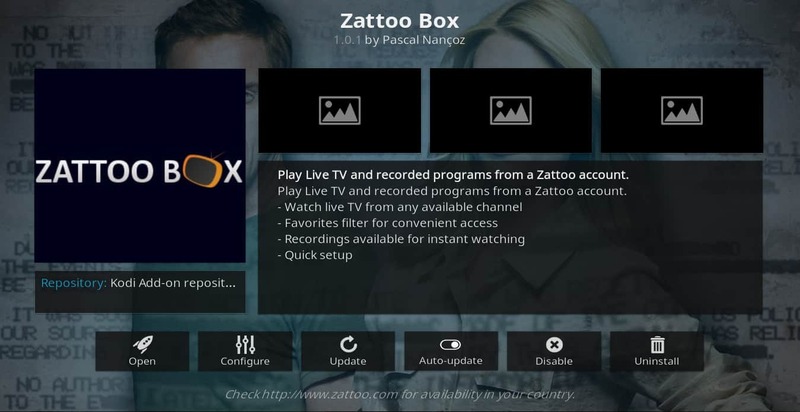 Zattoo Box is a Kodi addon that connects to the Zattoo streaming service. It’s part of the official Kodi addon repository. To install, open Kodi and select addons. Then select the “package installer” icon in the upper left (the one that looks like a box). Click install from repository → Kodi addon repository → video addons → Zattoo Box → install. When the addon is finished installing, open the configuration menu and put in the email and password you used to sign up for Zattoo. Now click OK and open to get to the main menu. The sports streaming service DAZN will be carrying Six Nations broadcasts in four countries: Austria, Germany, Switzerland, and Canada. In each of those countries, DAZN comes with a 30-day free trial, meaning you can sign up prior to Six Nations, watch the matches, and then cancel your account. Furthermore, if you’re in a country where DAZN is available, but where Six Nations is not live streaming on the service, you may be able to use a VPN to bypass DAZN’s content blocking and access Six Nations. We’ve tested several VPNs with DAZN, and functionality is spotty, although we did find some success with DAZN Canada and ExpressVPN. 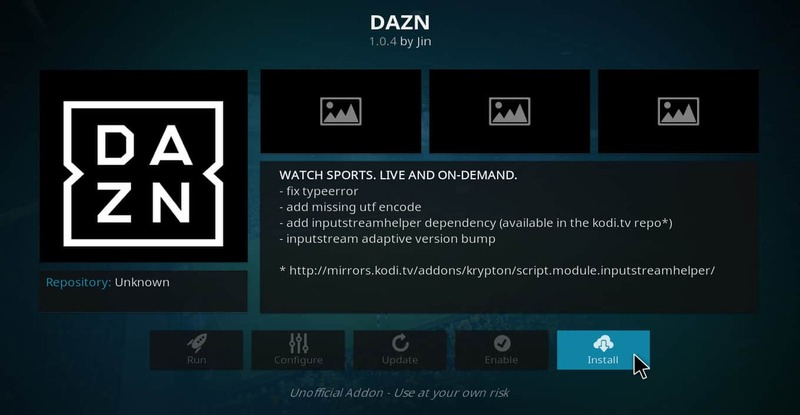 You can find the DAZN Kodi addon in the Official Kodi Addon Repository. Here is the schedule for the upcoming Six Nations Championship matches, along with the channels they can be found on in the U.K. For U.S. viewers, all of the matches are carried on NBC Sports Gold. Kodi is media player software that allows you to stream TV and movies without a web browser and without proprietary apps from the streaming sites themselves. It can be used to integrate all of your media sources into one interface, making online TV user-friendly at last. It can also be used to block advertisements from many streaming sites. If you’re a rugby fan who wants to watch the Natwest Six Nations Championship without cable, there are many options, including TVPlayer, NBC Sports Gold, Zattoo, the Zattoo Box Kodi addon, and the iPlayer WWW Kodi addon. If you’ve enjoyed this article and would like to learn more about how to watch TV and movies online or through Kodi, check out some of our other articles on the subject. This includes how to watch Tubi TV on Kodi and outside the U.S., how to install DAZN Kodi addon, and how to watch PopcornFlix on Kodi.